Lisa was AMAZING! We were thrilled with her services! She was professional, organized, and handled everything perfectly. We were planning our wedding from 10 hours away, and Lisa's help and support were invaluable. She went above and beyond to coordinate with our vendors and ensure that everything went off seamlessly! 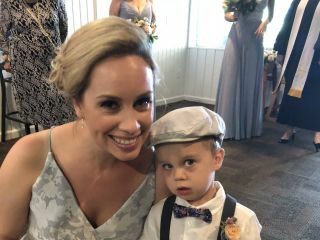 We had a few last minute changes, and Lisa took care of everything so that I didn't have to worry about anything on the day of the wedding. Our family and friends even commented on her professionalism and how impressed they were with her. Our photographer and videographer also commented on how she was the best coordinator that they had ever worked with. I am SO GLAD that we chose Lisa to handle our day of coordination. I met with several coordinators before making the final decision, and I can honestly say, without any hesitation, that Lisa was the best choice! 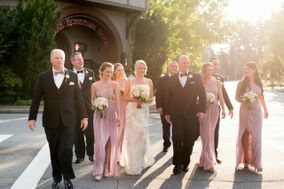 I used Exquisite Events and Consulting for day of coordination for my wedding. Lisa was fantastic, she was there for me to help with anything I needed and help answer any question. She went above and beyond with communicating with all my vendors and making sure everyone was on the same page. 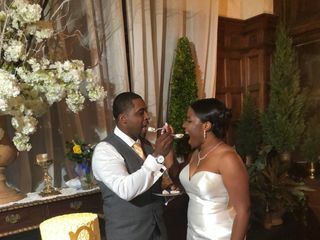 Our wedding went smoothly and without worry or last minute stress and it was all due to Lisa's organization and follow through. Overall it was a wonderful experience I would highly recommend Exquisite Events and Consulting to anyone needing help with planning an event! Lisa was absolutely amazing and really helped bring the vision of my wedding to a full, beautiful reality. I have the utmost respect for her. She's an instant friend and trusted confidant. I'd love to do it all over again! Lisa was so helpful during this time. She made a stressful time seem like a piece of cake. She took care of the things that brides do not have time to deal with. She follows through on what she says she will do. The wedding day was so calm her and her assistant were on top of everything. I would recommend Lisa to help with any size wedding big or small. She is very organized and fun to work with. 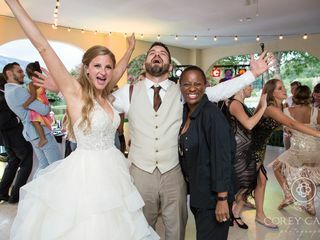 Thank you Lisa for making our wedding day so much fun and stress free!! It would have been a train wreck with out you. We chose Lisa last minute when we realized we needed some last minute advice and someone to help us through the day on the wedding day! We are pretty sure that this is the best money we spent on the wedding and are so thankful that we did. Lisa went above and beyond our expectations and really helped encourage the decisions we were making and gave us an honest opinion when the idea was not so awesome. If you are considering Lisa, call her. As soon as you do, you will instantly pickup on her passion for helping brides make their day simply perfect. There are so many things that she will talk to you about that you never thought about!!!! Lisa, we love you! Lisa was wonderful! I hired her for her professionalism that she exhibited from our first phone conversation. Her first couple of questions were "How many Guests? Attendants? What are your colors?" these are things I didn't even have figured out at the time. Right then, I decided that she was the woman for the job. She kept me on task, organized, and did all the footwork of setting up appointments with vendors, and arranging the details with each vendor. I literally could not have planned my wedding without her. Lisa is extremely professional while at the same time displaying her friendly, comfortable, outgoing, and encouraging personality. My finance met Lisa for the first time about 1.5 months into planning and his response was, " I am SO glad we hired Lisa. She is GREAT." --I agreed whole heartedly. Her response to every detail on the day of was, "I got it, don't you worry about a thing!" I highly recommend hiring Lisa as your wedding planner. Initially I did some research on wedding planners and decided I didn't need one. However, about 4 months before the wedding, I had a major budget crisis and my fiancee was talking about canceling the wedding and just eloping in costa rica. As a last resort, I decided to call Lisa (in tears) and she agreed to meet with us the next day. She sat with us and helped us trim all the fat from our budget. We were able to cut down the budget and continue with the wedding. I decided to hire Lisa for the weekend and she was outstanding! She provided prompt support via email and telephone (since I was planning the wedding remotely). She provided me her opinion when I asked about vendor selection. She also provided creative cost saving ideas and contacts to get it done. The weekend activities were smooth sailing. Literally a perfect wedding. Lisa is THE BEST wedding planner out there. Thanks Lisa!! I could not have asked for a more fun dependable and loving person to help out on my special day. I was blessed to have Lisa assist me during my time of need. She was always quick to respond and provided great suggestions. I leaned soley on her for my day and things went so smoothly I can truly say I had no worries on my day because Lisa knew what was important to me and I knew she would execute it. Lisa and her helpers did a wonderful job helping me with my wedding. She was very organized and the wedding definitely would not have run as smoothley if I didn't have her help. It was worth every penny to have her there to make sure that everything happened according to plan! 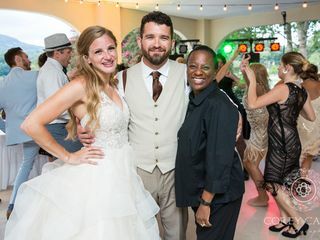 Lisa at Exquisite Events and Consulting was a HUGE part of making our day a success. She handled the unexpected bumps that arise and allowed us to enjoy ourselves. 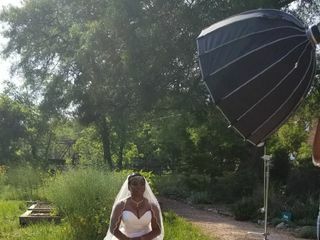 She also helped us located a photographer and florist that we loved so much we wish we lived closer so we could recommend them to others in the area. Can't imagine trying to pull it off without her. I can't say enough good things about Lisa! I am grateful that she was there on my wedding day to help things run flawlessly. There were a lot of details to keep track of at our wedding, and a lot had to be brought in from off site. Lisa kept everything organized perfectly. She was SO kind, warm, and calm while I was having pre-ceremony nerves!! It was invaluable to be able to enjoy our wedding and be "in the moment". 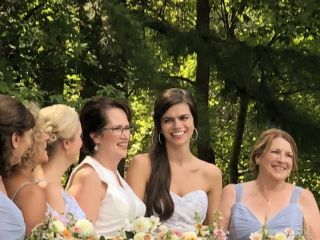 It really does go by in the blink of an eye and we are so thankful the Lisa helped to make those moments come together! Highly recommend! Lisa was very easy to work with. She had all the details covered and made things run smoothly on the day of the wedding. I didn't have to worry about a thing! I was very impressed by how quickly and clearly Lisa instructed everyone during the rehearsal. I would highly recommend Lisa's services. Enthusiasm is the word! 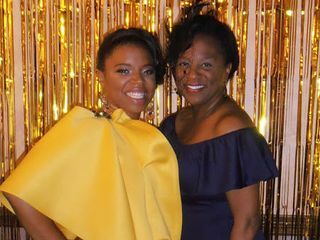 Lisa is so positive and enthusiastic along with the gifts of administrative and organizational skills that makes her a great wedding planner. I see a lot of them and she stands out! Lisa is indeed A+. Lisa was phenomenal, so helpful and constructive with great ideas. The only issue I had was that she never sent out the final updated version of the day of itinerary which caused some confusion for the photographer. The day still went by very smoothly and overall I could not be happier with her! Hiring Lisa McMillan for my wedding is a huge regret! She was disorganized, unprofessional and seemly inexperienced with things that should be routine for a wedding coordinator. The event should have gone off flawlessly, especially since details had been confirmed and reconfirmed multiple times, but Lisa was negligent and made several errors including misuse of decor and rental items, misplaced tables (my mother's table should have been along the head table but was place on the outside of the room), and lack of coordination of timing of key events. In particular we wanted our entrance to be during sunset since the venue was on a mountain facing west, but sunset was quickly fading and she still hadn't lined up the wedding party. My husband and I ended up getting everyone in line. Then during dinner, she was oblivious to how long it was taking to serve the guests, and I had to be the one to tell her the delay needed to be handled. Lisa definitely caused more trouble than she is worth. I thought the point of a same day coordinator was so that the bride and groom didn't have to stress about these things?! Despite pointing out these errors, she has yet to recognize the mistakes, apologize, or offer any reimbursement for not carrying out all details of the contract. I am well aware that nothing ever goes perfectly, but there were too many preventable errors ocurred for us to let it slide.